1. Surprise party: When your partner least expects a big celebration, their reaction is priceless. They will appreciate all the effort you put in to throwing the party, and they get to celebrate with everyone they care about most. 2. 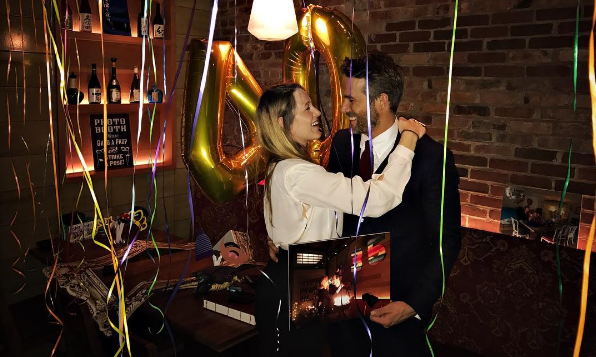 Bring it back to where it began: If you want to celebrate like Blake Lively did for her husband, you can bring the celebration to where the romance started. Not only will you be celebrating your partner’s birthday, but you’ll be celebrating your love! Double romance! 3. Take a trip: Say “happy birthday” with a getaway. Take a break from the hustle and bustle of everyday life, and go celebrate alone with your partner. You’ll be able to relax and celebrate how you both want to, away from the stress! How have you celebrated your partner’s birthday? Comment below!